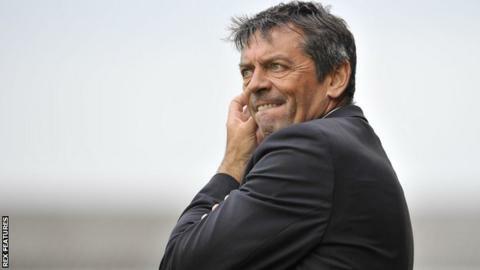 Southend United manager Phil Brown has admitted he is enduring his "most difficult period" at the club. Brown kept his players in the dressing room for two hours after the 4-2 loss to Swindon on Saturday, their third straight defeat in League One. The Shrimpers have conceded 11 goals in the last three games and scored only twice to slip to ninth in the table, three points outside the play-offs. "It's very difficult to stop a losing streak," Brown told BBC Essex. Former Hull manager Brown has been in charge at Roots Hall since March 2013, and led his side to promotion through the League Two play-offs last season. "The challenge for me is to try to make the players believe that they're good players, and make them understand that we have come a long way in a short space of time, but there's a lot longer to go," he added. "I'm on a path to get Southend United success and this is the most difficult period of my time here so far. "It's been three straight defeats on the bounce and heavy defeats at that. My word, it's been a long week."